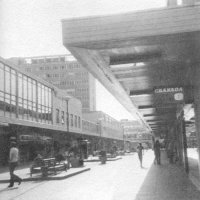 East Kilbride Town Centre was created in the 1960's as a focal point for the New Town. Over the years the Town Centre has developed and changed, retaining community related functions while becoming the largest under cover shopping complex in Scotland and one of the largest in Europe. 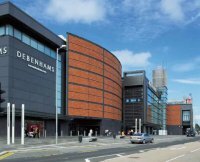 With costs in the Town Centre a significant factor for businesses and new shopping complexes challenging East Kilbride's success, a plan is underway to re-model and again increase it's size. A £400m redevelopment of East Kilbride town centre has been given the go-ahead by South Lanarkshire Council. The plan will demolish some existing buildings to create a new civic centre, a state-of-the-art health centre, a library and shopping facilities. It would also see a "landmark" arts and culture complex with a 1,000-seat theatre, a 500-seat conference centre, a museum and a new town square. Parking spaces in the town centre would increase from 3,000 to 8,700 spaces.The first stage of the plan could start in 2006, with completion of the major elements in 2012/2013. It is hoped the project - the various phases of which will require full planning permission - will create up to 3,000 temporary jobs over the 10-year construction programme and 2,000 permanent jobs. 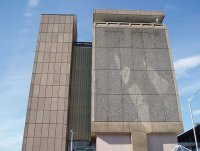 The new civic and health facilities would be created at the site currently occupied by Plaza Tower, which would be demolished, with the theatre and arts facilities being created at the adjoining Olympia Centre. The current civic centre and the adjoining Hunter Health Centre would be demolished to make way for the first phase of development, which would include a major food retail store.